When operators want to bring their gas or oil from seabed to ships or platforms, it is an advantage to use pipes that can move in response to environmental conditions and that can handle high temperatures and strong internal pressure. And flexible pipe systems are at the exact core of the competencies of NOV Flexibles. We develop, produce, and market some of the strongest and most advanced flexible pipe systems in the world. Thanks to our innovative drive and several patents in the field, we make sure that oil and gas companies get their products from production site to tanker or platform quickly and safely, that island communities get clean water, and that dangerous chemicals are loaded and unloaded easily and quickly. Our offerings go beyond just flexible pipes, however. We supply complete systems, from huge steel constructions that hold the flexible pipes in place between ocean floor and surface to real-time monitoring and maintenance programs that use fibre optic technology to ensure oil or gas production stability. Founded in 1898, NKT was one of the first companies in Denmark to manufacture power cables. Less than 70 years later, we developed and installed the first commercial flexible pipe, and today we still leverage innovation, professionalism and drive to create solutions where others have to give up. National Oilwell Varco can trace its origins back to 1848 and has since then supplied customer-focused solutions that best meet the quality, productivity, and environmental requirements of the energy industry. 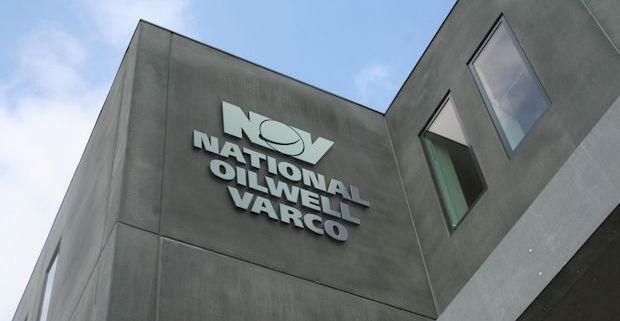 In 2012, National Oilwell Varco bought NKT Flexibles, and while our official name is National Oilwell Varco Denmark I/S, we are known in the market as NOV Flexibles. NOV Flexibles is a subsidiary which is fully owned by National Oilwell Varco Inc. NOV Flexibles owns a Brazilian subsidiary as well as the Scottish company Itasco Ltd., which we acquired in April 2013. As suppliers to the offshore oil and gas industry, all work at NOV Flexibles is carried out according to the very strict safety requirements of ISO 9001:2000, API Q1 and also the API 17J Monogram Licence. With regard to workplace safety, we comply fully with the Danish Occupational Safety and Health Act as well as the Danish environment act in addition to making it a top priority to minimize the risk of accidents in relation to working conditions and to ensure that the products and components are protected against any factor that could cause defects or delay production of the final product. In addition, we have factories in Kalundborg and Superporto do Açu as well as offices in Aalborg, Perth, Rio de Janeiro, and Houston. To be the world's leading supplier of flexible pipe systems and services to the offshore oil & gas industry and the water & chemical industry. By excellent performance to become the preferred supplier of high quality flexible pipe systems and services based on best-in-class technology. We are honest, loyal and take pride in honouring our commitments. We acknowledge errors so we may learn from them. We show integrity by being respectful in our everyday work. It is our stated goal to meet or exceed customer expectations with innovative and professional solutions. We are passionate about our work. We are persistent and we take pride in delivering quality with every effort. We strive for smarter, simpler and better solutions. We challenge the boundaries of possibility, and we share knowledge and experiences to ensure increased stakeholder value. We achieve results by making the right decisions in due time and standing by these decisions when challenged. We acknowledge and respect the professional skills and personal qualities in others. We leverage the collective effort and knowledge through open cooperation and free dialogue. We honour the culture and laws of all areas in which we participate and demonstrate respect for all. NOV Flexibles manufactures dynamic and static risers, static flowlines, subsea jumpers, topside jumpers and expansion joints. Our flexible pipes are used for versatile offshore oil and gas applications including production, gas lift, gas injection, water injection and various ancillary lines including potable water and liquid chemical lines. We perform complete riser and flowline system design, engineering, procurement, manufacture, testing, documentation and delivery. Our flexible pipe is an unbonded structure consisting of helically wound metallic armour wires or tapes combined with concentric layers of polymers, textiles, fabric strips and lubricants. NOV Flexibles has kept an entrepreneurial culture, and nowhere is that more obvious than when it comes to having a career with us. We believe that a satisfying career development can be more than just a vertical movement. As long as you are challenged and feel that your work allows you to thrive and grow, professionally as well as personally, we consider that a good career. This is based on respect between employees as well as between employees and management. We believe that by making our expectations clear to each other, and by keeping everything open and honest, we can bring out the best in everyone – to the benefit of us all. We emphasize internal mobility, which means that we encourage our employees to seek new challenges within the organization. We applaud colleagues who look to develop and utilize their skills and knowledge in other functions and other departments. In practice, this means that even if you begin in one position at NOV Flexibles, we are always ready to consider how you may go where your professional interests take you. Likewise, we may also encourage you directly to try another job, if we feel it would be beneficial to you and the company. We operate in the international offshore market where the demands on quality and safety are high. This affects the daily life of us all – we are proud to work for some of the world’s largest oil companies and we are challenged to offer good engineering solutions manufactured at our own factory in Kalundborg. The fact that our production facilities are so close by makes us an unusual and interesting place to work. We offer a uniquely dynamic interaction between craftsmanship and engineering, where all employees benefit from working with each other in a productive and mutually beneficial partnership. We also believe there is value in being a good place to work. We encourage openness, a straightforward and honest management style and we are always prepared to give our employees more responsibility and new challenges when they are ready for it. At the same time, we have a tradition of always being ready to help each other out – even when we are busy – because we know that by working together, we can take our solutions further. We are a relatively young workplace. Many of our engineers join us immediately after graduation, so while we have many 5th and 10th job anniversaries, we still have a quite low average age. NOV Flexibles has a long tradition for working with universities and other educational institutions. We have several engineering internships as well as a significant number of theses written about our products and the underlying challenges we face every day. In addition, we are partnering with the Technical University of Denmark to provide as hands-on education as possible, so as a student, you may already have come across us! If you are interested in learning more, we hope to hear from you. You can also meet us at the fairs and events we attend during the year at the Technical University of Denmark. Since 1999, we have conducted regular employee satisfaction surveys. The primary purpose for the surveys is to gauge overall satisfaction and identify focus areas for the period until the next survey. Throughout our history, job satisfaction has been steadily growing and as of the latest survey (2012/2013) average job satisfaction has been 5% higher than the Danish average. Other key findings show that NOV Flexibles enables freedom with responsibility, rewards independent thinking and provides work with tangible results. As part of our commitment to safety, we have formalized our entire training and competence building programme, making it documentable and traceable. Through our competence programme, we ensure that all new employees receive a proper introduction to their job and the company as a whole and that all necessary certificates are kept up-to-date. Finally, our competence development programme is a great benefit to all our employees, as it provides clear tracks for further development and training.